I miss you. I love you. I wish I had you and all of your siblings here with us. Happy 3rd birthday, darling boy. We love you more every day. 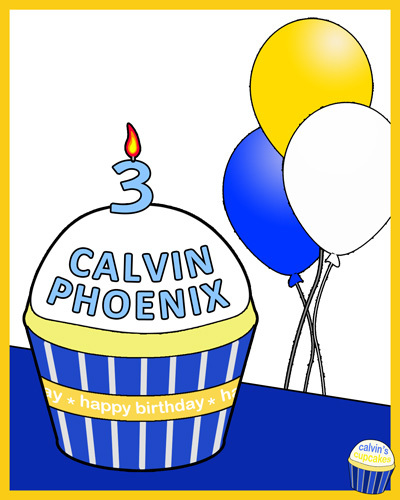 Calvin Phoenix is our precious first baby, after whom this project is named. He is in heaven with his sisters Rainbow and Gaelen, and we are awaiting the arrival of their baby brother, Charlie, this June. To learn more of our story, please read Showers, which Louie wrote. And if you are so moved, please visit Calvin’s memorial site and send our sweet son some love at Kisses for Calvin. 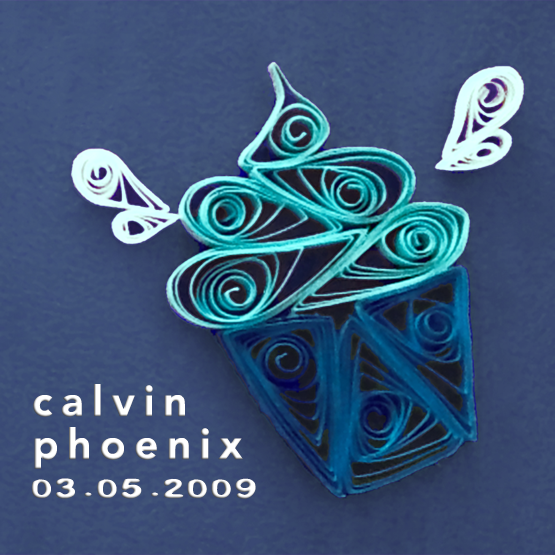 Calvin Phoenix is our precious first child, who was born sleeping at 18 weeks. Calvin’s Cupcakes is his legacy and gift to other families who long for their children who have left this world. He was joined by his sister, Rainbow, on December 10, 2009. They play in the clouds and wait for their baby brother or sister to come to their mommy and daddy. To learn more about our sweet boy, please visit Kisses for Calvin, where you can send him a message. Learn more about our family and our journey at Crystal’s blog: these fragments, i love. 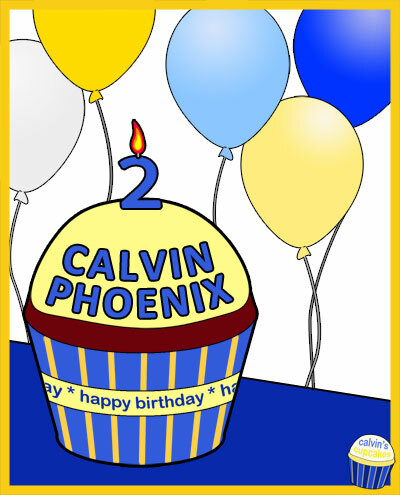 Calvin Phoenix is our first baby, who was born at 18 weeks, after he passed away due to amniotic band sequence. 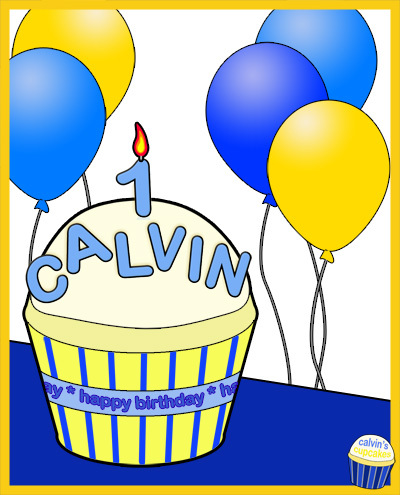 Calvin’s Cupcakes was created in his honor and memory. His baby sister, Rainbow, joined him in Heaven on December 10, 2009, where they fly and play together with all the other angel babies. Please send him some birthday love.